I love markets. I love flea markets, tag sales, estate sales, Craigslist, antique shows, food markets and everything in between. There is no feeling like scoping out a new spot online or through word-of-mouth, checking it out, and coming home with treasures. It kills me every time I have to buy something new because I KNOW I can always get something better, for cheaper, at a market. My market addiction was pretty easy to satisfy living in the Northeast US. There are antique shows and markets held pretty regularly and I could go with my mom, family, and friends to see new places routinely. In Rome it’s harder. With the centuries of history here, there are a lot of antique stores. 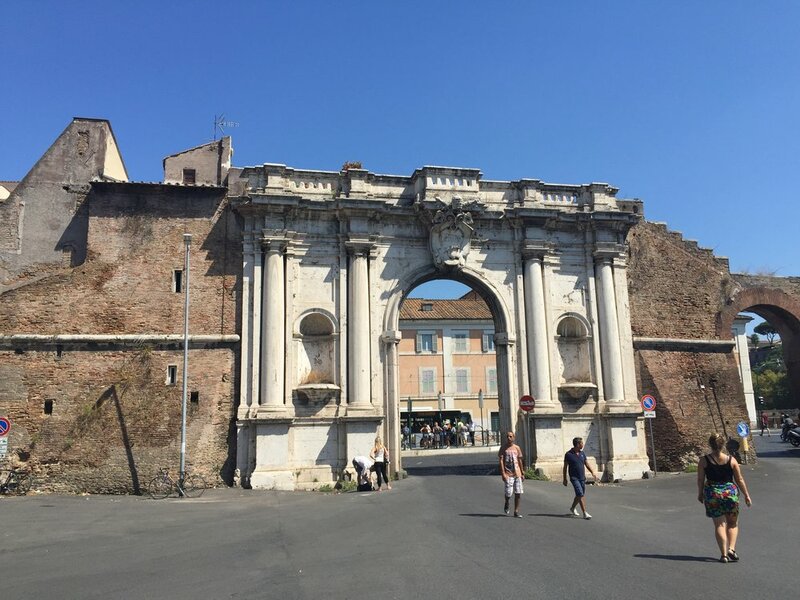 Vintage shops and formal antique dealers are abound in Rome; more difficult to find are the casual, “I’m selling everything in my basement” type of events. Since I’ve been here, weekend market hunting has been a monthly occasion and I’ve found some real winners that consistently provide me with both useful and useless items for my apartment, as well as entertainment on the days that I don’t go home with something. For my list of recommendations, read on below. For a more comprehensive list in Italian, check this out. 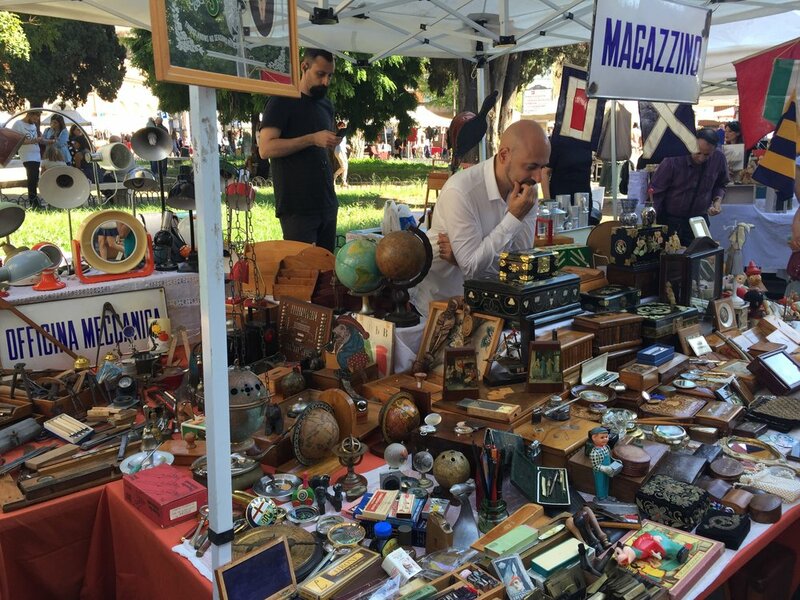 This is one of my favorite markets in Rome, because it contains a variety of booths, with interesting sellers that change over their content frequently. It's open all day on the weekends and is located in the park by the metro stop on the B1 line, "Conca d' Oro". You can expect antique furniture, vintage clothing, food stalls, old book shops, small kitchen items, antique paintings and featured exhibits by modern artists. I came across this market with a direct email from one of the sellers, that I've bought from previously. While it's not publicized online, this twice monthly flea market is a great find. 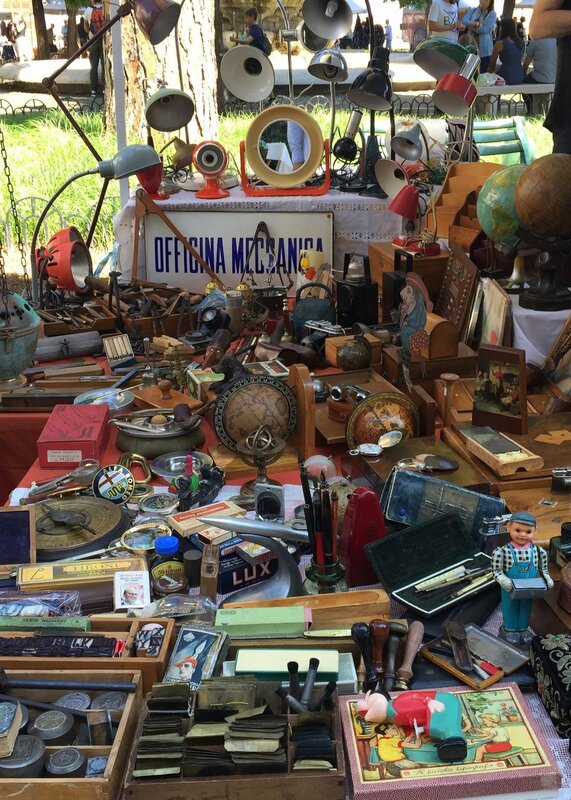 With about 40 booths selling old toys, cute decorations, furniture, and kitchen items, as well as high-end Roman antiques, there are a lot of options. 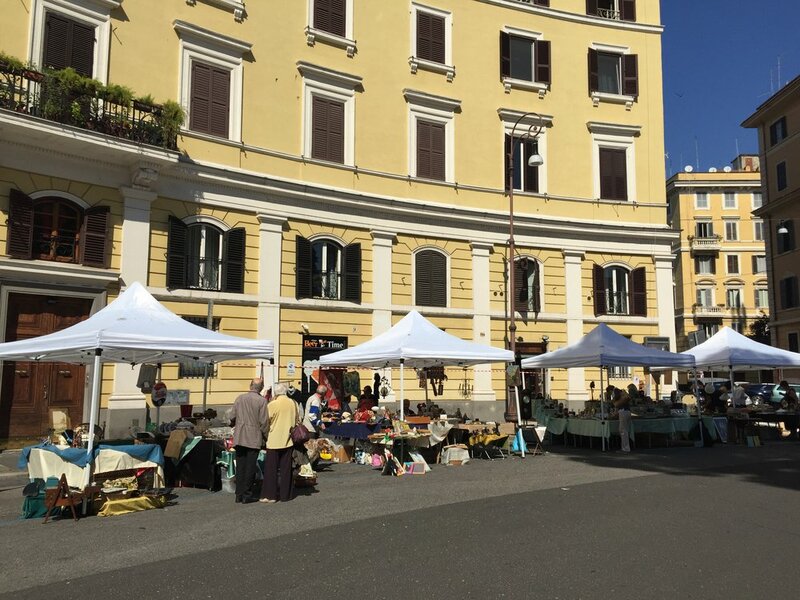 Mercato Monti is a well-known market in the center of Monti, by the Colosseum and Roman Forum. I love this market for handmade items and vintage clothes. Local designers, artists, and collectors meet here every weekend and sell their products. It's perfect if you have a bit of free time and want to check out some one-of-a-kind souvenirs and presents for people at home. Monti is also home to a variety of vintage clothing stores if you're interested in checking those out. While touted as one of the most popular markets in Rome, Porto Portese was a bit of a let down for me. This market spans multiple kilometers and has a lot of stalls with cheap home goods and clothing. You'll find a lot of knock-offs here, but if you can spare the time, there's something here for everyone. Make sure to watch out for pickpockets and bring water if it's a hot day; expect to be exhausted by the end of your treasure hunt. Do you like checking out local markets while traveling? Or do you stick to more high-end purchases while in a different country? (Via Condotti, I'm looking at you). Leave your thoughts below!